We build websites, geographical information and database systems so you can explore, analyze, share and understand your data. 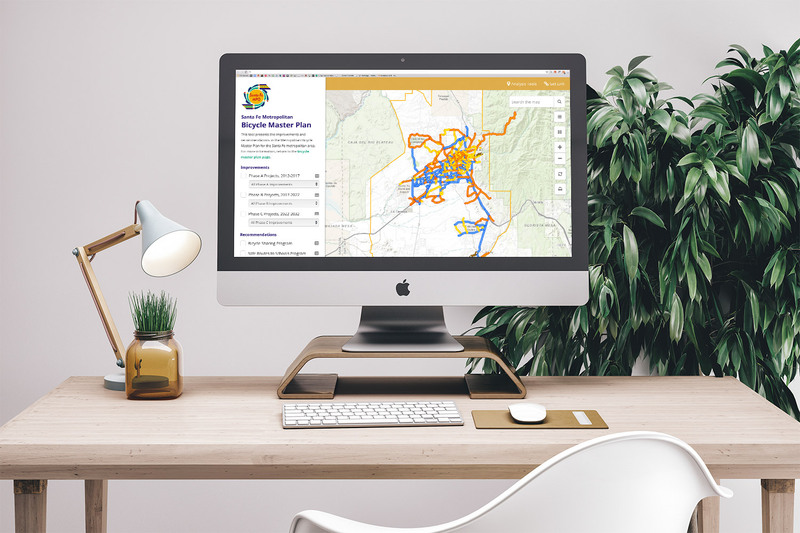 The City of Santa Fe Metropolitan Planning Organization engaged Tierra Plan to design and develop an interactive web-mapping application for their Bicycle Master Plan. This project is bringing what was a static plan to life online, with interactive maps, tables, and performance indicators showing real-time progress as the City implements new bikeways and bike infrastructure. 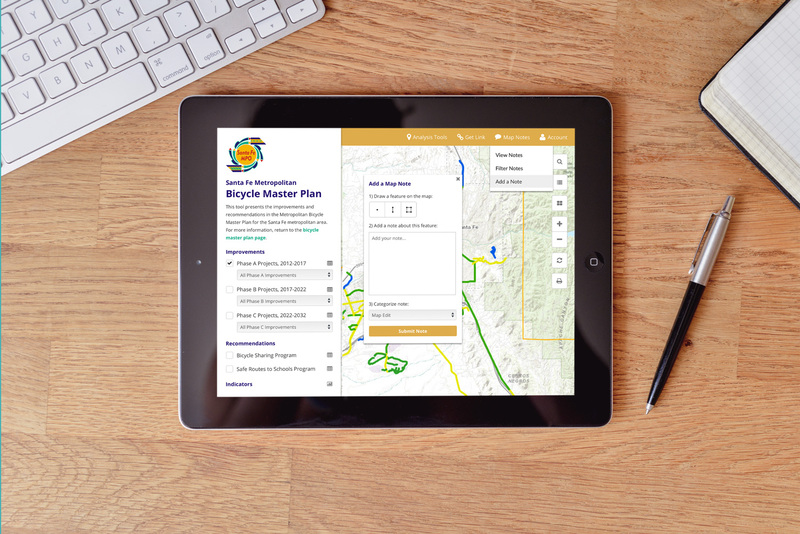 Tierra Plan is building a geodatabase model for Santa Fe’s bicycle master planning efforts, including a user-friendly custom web interface design, interactive web mapping tools, and participatory mapping features. The project also includes GIS Data management services and collaboration and review with inter-city agencies and stakeholders. 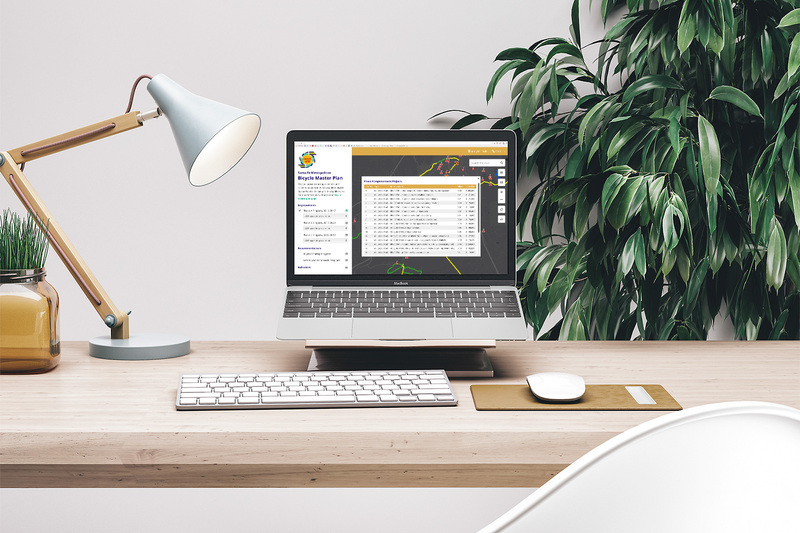 Our team is expert in advanced web application software, database development, GIS development, spatial analysis, content management, information design, and more.